Wave Corporation is going to release the Kobayakawa Rinko 1/10 PVC figure from the NDS game Love Plus developed by Konami. 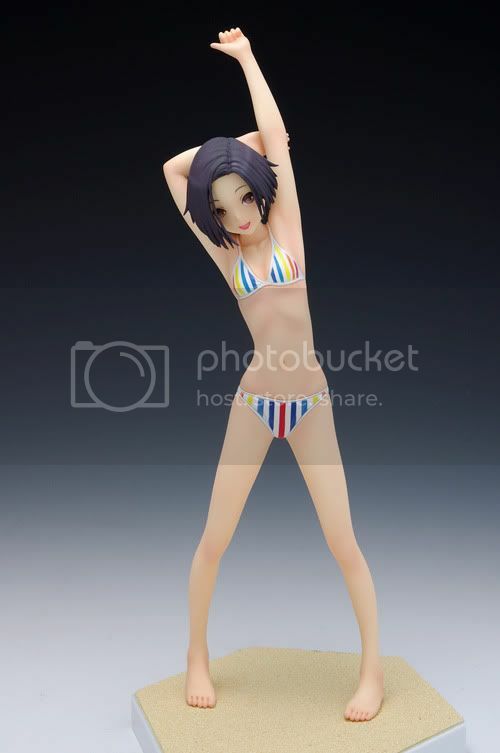 This figure is approximately 190mm in height and will be released in December 2010 around 3,990 yen. This figure will come with 2 optional face parts, so we can decide what expression to display her with. And just like the other 1/10 Wave's figures, Rinko is also equiped with H Joint on her neck allowing her to look at different direction. 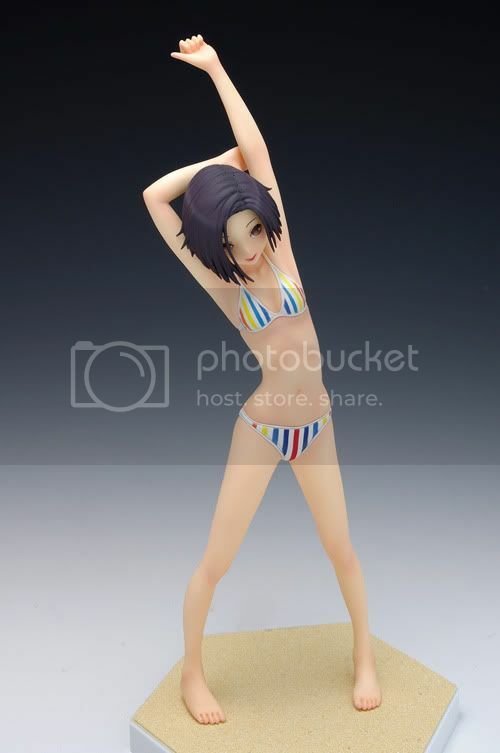 Wave's Kobayakawa Rinko figure will be released under the Beach Queen Treasure Figure Collection series.